Thanks to all who joined us this December 2-4, 2018 to make our Annual Meeting a success. Please see below for presentations from keynote speakers and sessions. For those who did not turn in a hard copy survey, we ask you take a moment to complete the survey online at https://goo.gl/forms/I26yQTvBwECwYf8l1. Hard copies of the survey – as all attendees were provided a hardcopy at registration in their padfolio – can still be mailed or faxed to the VASWCD office for inclusion. All input is important. 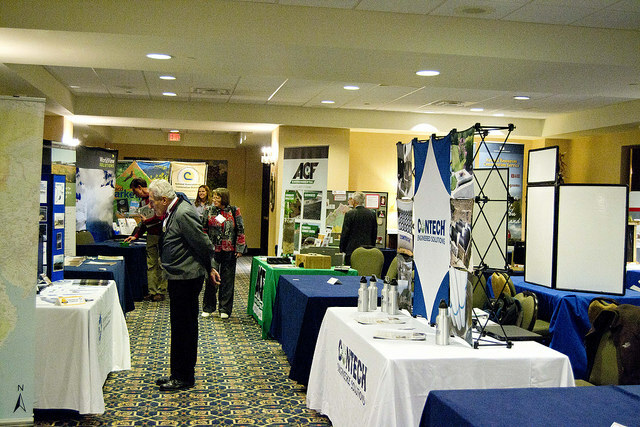 Visit our VASWCD Facebook page for photos/posts from the meeting – https://www.facebook.com/Virginia-Association-of-Soil-Water-Conservation-Districts-VASWCD-184156224952486/?ref=settings. Key members of our Association board are our Area Chairs. These individuals are here to serve issues specific to your area and to assist in the communications between the Association and districts. As a number of elections were held this year we share the following list of area chairs and we thank them for their service to the board. Please ensure you know your Area Chair as they are your most direct liaison to Association work. Join us for our 2019 Annual Meeting in Norfolk for what will be a great networking and educational session. If you are interested in joining the 2019 planning committee contact VASWCD staff. Committee work will begin in the spring of 2019. Annual Meeting Registration Form – All late registrations – payment or form – are subject to $100 late fee. Due to the VASWCD with payment no later than 11/14/19. Because of confirmation of needs with the hotel we cannot offer refunds unless under extenuating circumstances determined in consultation with staff after November 8. Hotel Reservations – Reservations can be made with the Sheraton Norfolk via phone at 757-622-6664 for the government/state rate of $94 + tax and identifying with the VA Assn of Soil & Water Conference. Room reservation deadline 11/14/2019. Annual Meeting Agenda – The draft agenda proves an exciting three days packed full of training and networking are currently under development. Details on workshops within the director, admin/edu, and technical tracks are currently under development. Check back for an updated draft agenda in early October for this information. 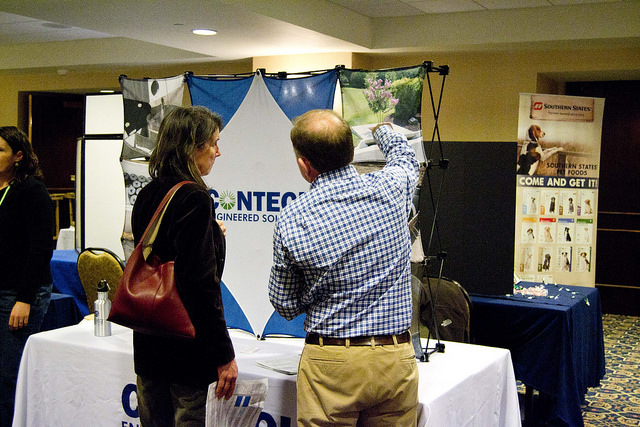 Annual Meeting Sponsor/Vendor/Exhibit Form – Learn details regarding sponsorship levels and come on board as a meeting sponsor to gain recognition throughout the conference. Purchase sponsorship opportunities below or send payment directly to the VASWCD. Annual Meeting Fundraisers – The VASWCD auction and raffle is our biggest fundraiser and your contributions support the Foundation’s environmental education programs including Envirothon, Youth Conservation Camp, MWEE, and more. Register an auction item today by completing the online form (though items are accepted at the door) and plan to purchase your Wine & Win raffle tickets at the Annual Meeting. Registration of auction items will open in Fall of 2019. Visit Norfolk – Check out what’s happening in the area during our time in Norfolk and take in a little local fun. If you have any questions regarding the Annual Meeting contact the Association Office at 1-800-727-6354 or Kendall Tyree by email at kendall.tyree@vaswcd.org. 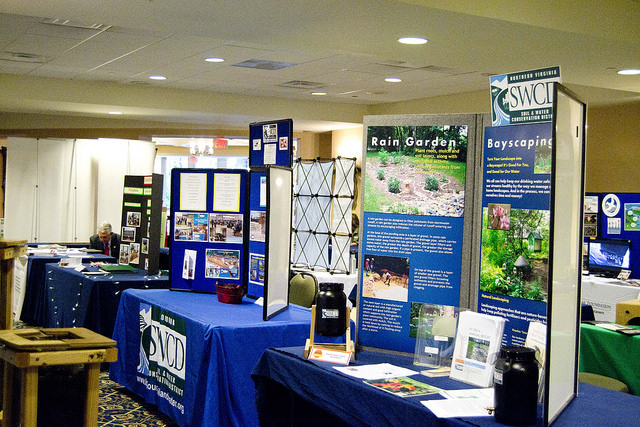 The Virginia Association of Soil and Water Conservation Districts (VASWCD) provides and promotes leadership in the conservation of natural resources through stewardship and education programs. It coordinates conservation efforts statewide to focus effectively on issues identified by local member districts. Our mission is to serve and strengthen Soil and Water Conservation Districts in the stewardship of natural resources. The VASWCD is a private nonprofit association of 47 soil and water conservation districts in Virginia and is classified as a 501(c)(5). It is a voluntary, nongovernmental association of Virginia’s districts. Your organization could be a donating sponsor and contributor to the continued success of the 47 soil and water districts across the Commonwealth. The Annual Meeting provides your organization not only an opportunity to coordinate with districts but vast networking opportunities. Sponsor support and donations serve as the backbone of our association and keep us moving forward in the name of conservation. Consider showing your support also by advertising in our annual District Directory. This directory is distributed throughout Virginia to all 47 Soil & Water Conservation District staff and directors along with many partners including the Department of Conservation and Recreation, National Resources Conservation Service, and Virginia Department of Forestry. To find out more information about our advertising options see our District Directory Advertising page. 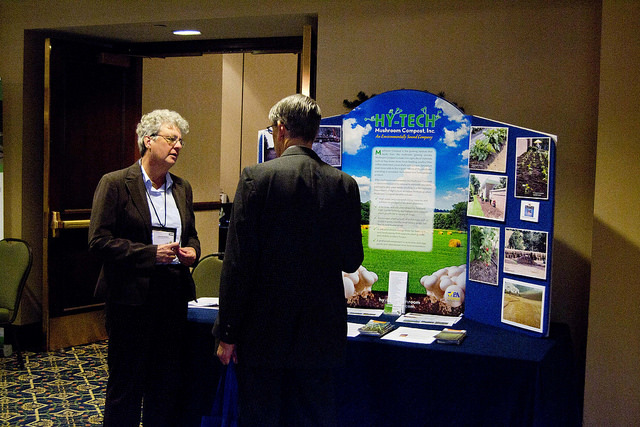 Serve as an annual meeting sponsor and purchase advertisement space for a 20% discount. Discount purchases for advertising in conjunction with annual meeting sponsorship can be made on this page only or mailed to the VASWCD. 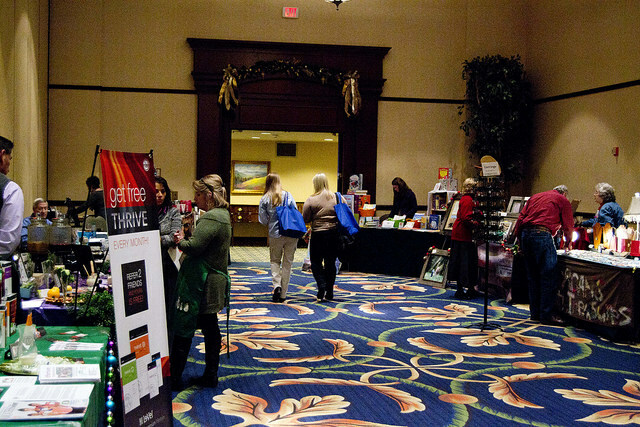 If you would like to avoid the 3.2% Credit Card processing fee or wish to mail your sponsorship, please fill out the Annual Meeting Sponsor/Vendor/Exhibit Form and mail with full payment to the VASWCD. * Electricity not provided. Please purchase electricity option below. Reception Invitation with VASWCD leaders on Sunday, December 6 at the Omni Hotel in Richmond, VA.
* Electricity and Internet service are not provided. Please purchase electricity and internet service options below. This rate is limited to our ‘Market Place’ room where vendors may be selling items for the holiday. We welcome all vendors including jewelry, beauty, homegoods, artists and artisans and more!